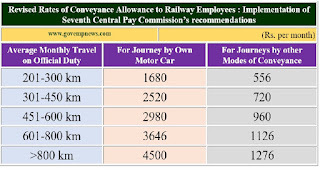 The General Managers,All Indian Railways etc. 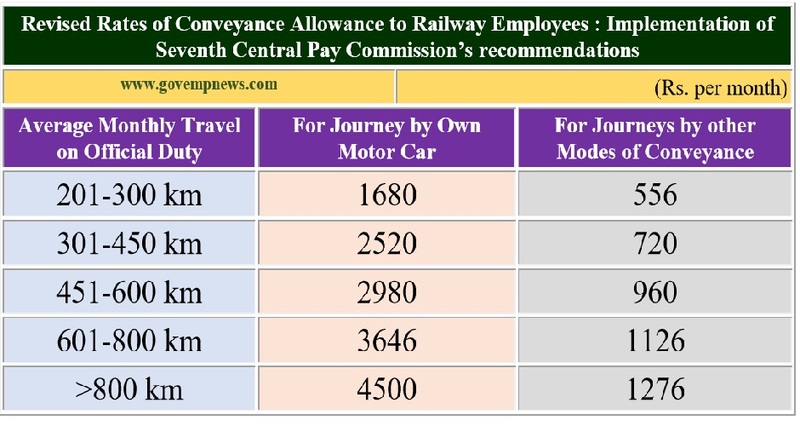 Sub: Revision of Rates of Conveyance Allowance to Railway Employees: Implementation of Seventh Central Pay Commission’s recommendations. 3. The other terms and conditions for grant of this allowance will remain unchanged. 4. 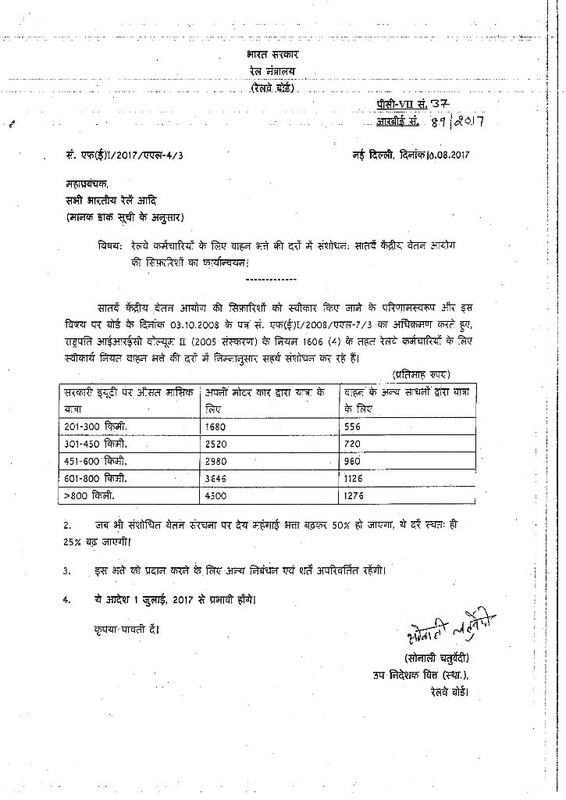 These orders shall take effect from 1st July, 2017. 5. 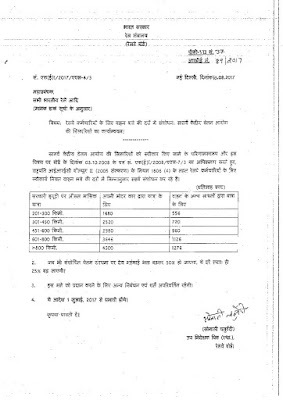 Hindi version is enclosed. Please acknowledge receipt.